This book was basically just a cliffsnotes version of "Our Revolution: A Future to Believe In." I'm a big Bernie fan, so I've read all his books, so this was really repetitive of his previous writings. It wasn't a bad book, especially if you've never read any of his work, but if you have, you may want to pass on this. Would you listen to Bernie Sanders Guide to Political Revolution again? Why? Concise, well-written, illuminating. Bernie's vision for the future of our country is compelling and achievable. Brilliant work by a brilliant and caring figure in American politics. The writing itself and it's narration is well paced and organized. Much of it goes into the views of Sanders himself and his belief of how the people U.S must work to overturn social, political, and economic systems that benefits a small group of the wealthy over the rest of the nation. I would recommend this as a great, fairly short (<4 hours) summary of Sanders' views and the political movement he inspired. Excellent primer for people who want to be in the know! This book gives you the basic info you need to hold your own left leaning stance in a political debate. Well worth the listen, but I almost want to buy the hard copy to take old fashion notes! We can only aspire to make the kind of difference Bernie does! This books dives into the ideology that Bernie has had for years including truly #resisting against the establishment and inequality. This consistent rhetoric mobilized a whole generation of young voters and re-mobilized those who lost faith in the US political system. Bernie would have won. great book. still Sanders. Feel the Bern. #2020 #potus #President . . . . . 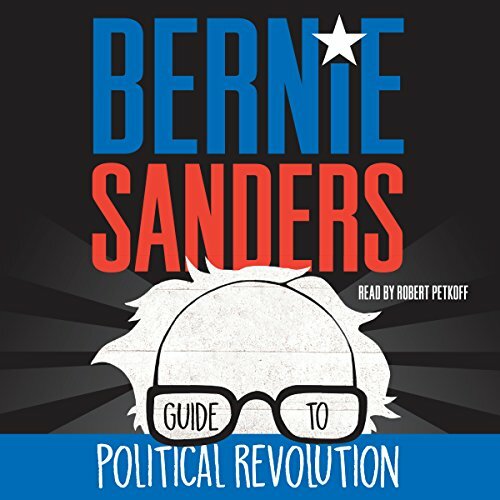 While this book doesn't cover anything new if you've read his other books, it does a great job of breaking down the various policy positions progressives hold so that voters can better identify the candidates worth electing. Equal parts doom and hope, as he explains both what is wrong and how to fix it. It's also inspiring to see how he hit the ground running, seemingly unbruised, even after the DNC electioneering and the Trump victory. He isn't quitting, and neither can we.